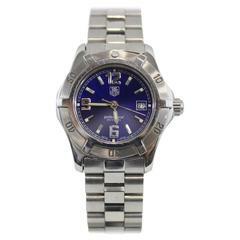 TAG Heuer Monza Stainless Steel Watch CR5110.FC6175 - Automatic. Stainless steel with smooth bezel ( 38 mm ). Black dial with stick hour markers and . Black alligator strap with deployant clasp . Pre-owned with TAG Heuer box . Tag Heuer Monza Reference #:WR2110. automatic-self-wind. Verified and Certified by WatchFacts. 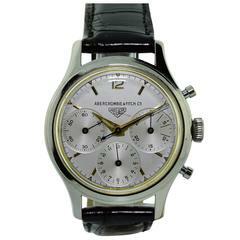 1 year warranty offered by WatchFacts.